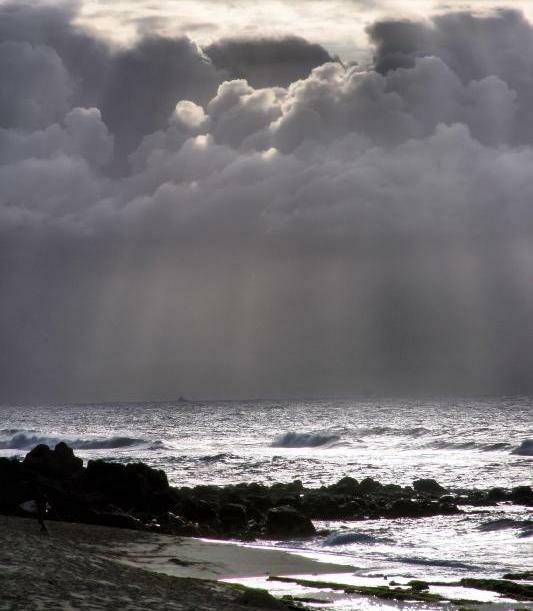 Hawaiian culture has many signs and omens still observed today. Rain and rainbows are considered blessings from the gods. Ua is the Hawaiian word for rain. But that’s just the beginning. 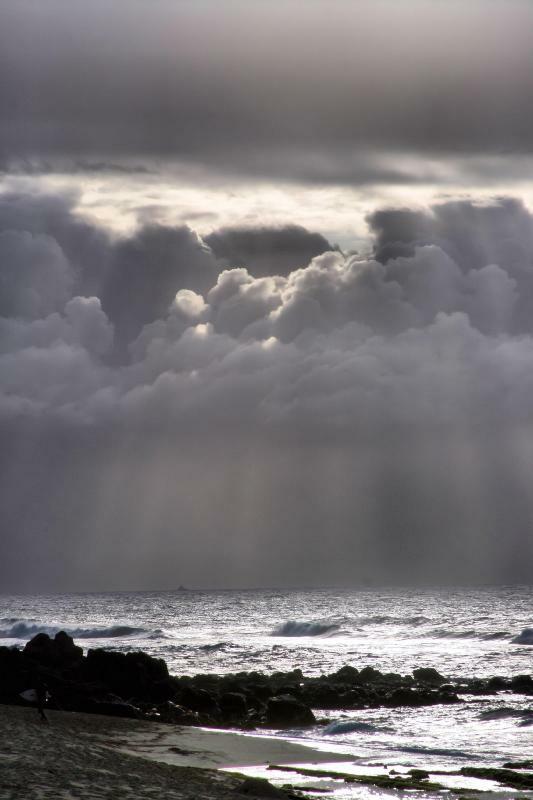 Entwined within Hawaiian song and poetry, rain may signify joy, life, growth, greenery, the presence of gods or royalty, sexual relations, beauty or hardship. Light rains and mist might be a sign of good fortune, and heavy rains may be indicative of grief, sorrow and tears. 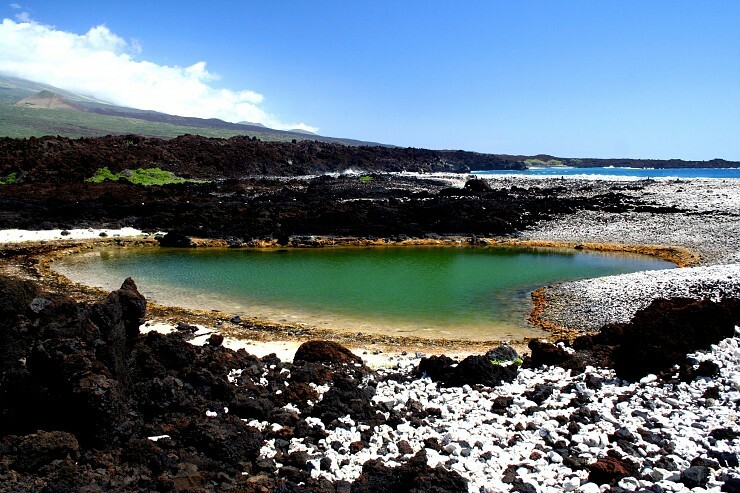 Maui is the only island on which alaloa – long road, completely circled the coastline. 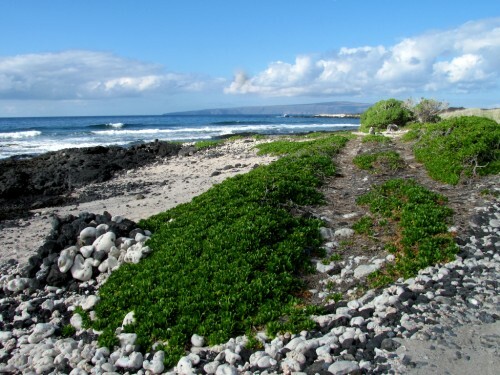 Only two sections of the original road remain, the Pi`ilani Trail near Hana and the Hoapili Trail near Makena. The original trail was paved with smooth rounded lava stones, many of which are still in place today. In the 15th century Pi`ilani, one of the most powerful chiefs in Hawaiian history, set out from Hana to conquer the central plains in Wailuku, then marched to Lahaina and united Maui. The visible islands along the route — Kaho`olawe, Moloka`i, and Lana`i — completed Pi`ilani’s vast dominion. 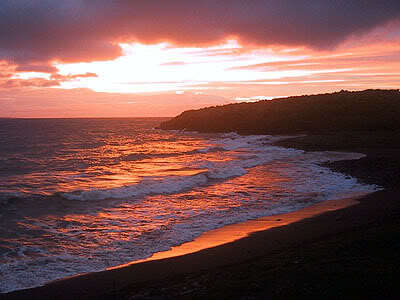 His reign ushered in a long period of peace, stability, prosperity, and a recognition of Maui Nui as a model Kingdom. Under his reign Maui experienced the development of roads, fishponds, and irrigation systems. To improve transportation, Pi`ilani initiated construction of the far-reaching alaloa, long road. Four to six feet wide and stretching 138 miles, this rockpaved thoroughfare, also known as the King’s Highway, connected villages and heiau – sacred spots, facilitated both peace and war, and simplified travel and communication throughout the extended realm. It became the only ancient highway to circle any of the Hawaiian islands. TODAY: 814.34 MILES OF ROAD AND GROWING . . . The present Honoapiilani Highway, built in 1927 using convict labor, traces the ghost of the alaloa. Today nearly half of Maui’s highways still bear Pi`ilani’s name. 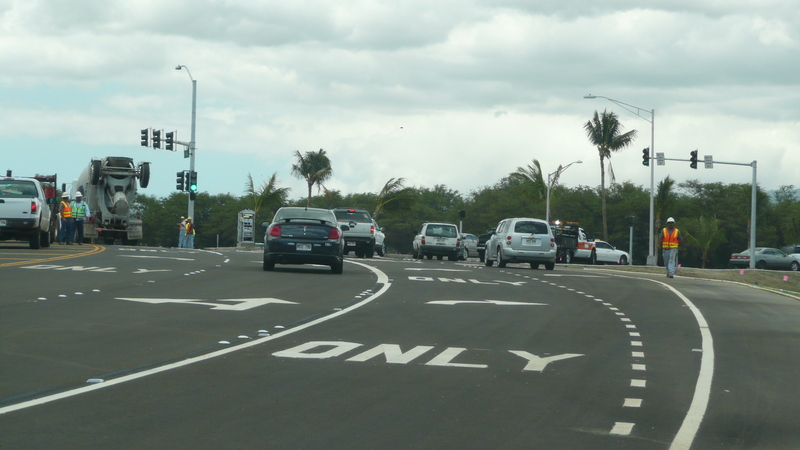 The recently completed junction of Mokulele and Pi`ilani Highways was the final phase of the six-year, $87 million Mokulele Highway road-widening project. Maui remains the only island with a complete coastal road. 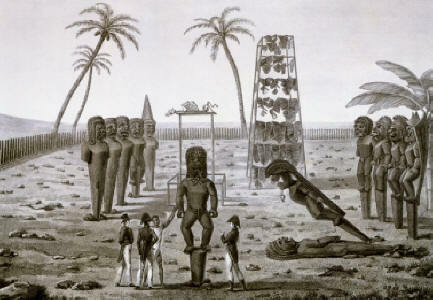 WHEN THE FIRST WESTERNERS ARRIVED IN THE LATE 18th CENTURY THE HAWAIIANS HAD A RICH LEGACY OF ORAL LITERARY TRADITION. The arrival of American Protestant missionaries in 1820 marked a new phase in the development of the Hawaiian language. In order to achieve conversion of Hawaiians to Christianity, the missionaries developed a successful alphabet for Hawaiian. By 1826, they had taught Hawaiians to read and write the language, published various educational materials in Hawaiian, and eventually finished translating the Bible. 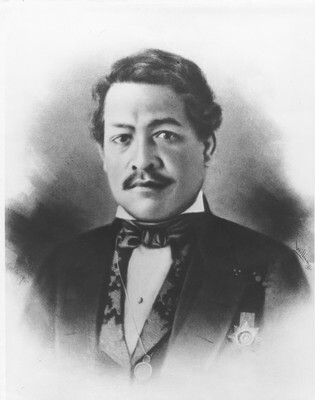 Missionaries influenced King Kamehameha III to establish the first Hawaiian-language constitutions in 1839 and 1840. During the 1800s, Hawai‘i became one of the most literate nations in the world with over 90% of the population able to read and write. King Kamehameha III proudly declared,“He aupuni palapala ko‘u” —“I have a kingdom of education”. 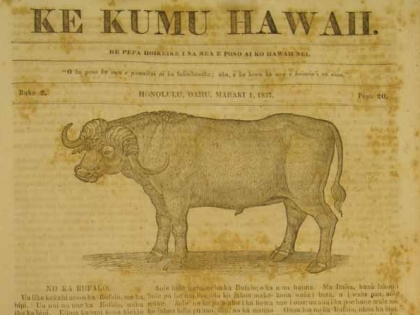 In February 1834, the initial edition of Ka Lama Hawaii was the first newspaper to be printed west of the Rocky Mountains. It was printed at Hale Pa`i, on the campus of Lahainaluna School on Maui. Eventually, there were over 100 Hawaiian language newspapers in print. But the Hawaiian-medium school system established by the Kingdom of Hawai`i in the early 1820s, was abolished in 1896, and 2 years later use of Hawaiian in Territorial schools was forbidden. Children were summarily punished for speaking Hawaiian in school. However, Hawaiian language newspapers were published for over a hundred years, right through the period of the supposed ban. In 1957, Mary Pukui and Samuel Elbert wrote a new Hawaiian dictionary that introduced an era of increased attention to the language. 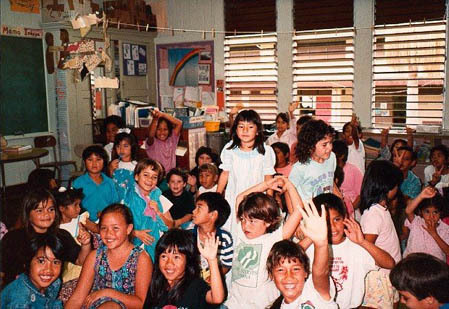 “Immersion” schools are now open to children whose families want to introduce Hawaiian language for future generations. Today there are over 27,000 speakers of Hawaiian. 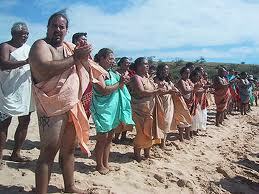 Maui County was the first to amend its building code to allow for the construction of indigenous Hawaiian structures. These rules were the first of their kind in the state and have served as a guide for local governments. Today, more than ever, the concept of sustainable design is in the forefront. 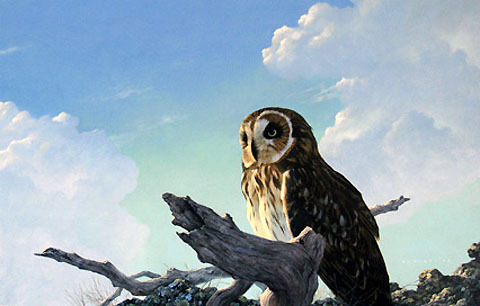 It recognizes that human civilization is an integral part of the natural world and that nature must be preserved and perpetuated if the human community itself is to survive. The concept of sustainable design holds that future technologies must function primarily within bioregional patterns and scales. They must maintain biological diversity and environmental integrity, contribute to the health of air, water, and soils, incorporate design and construction that reflect bioregional conditions, and reduce the impacts of human use. Whatever it’s called — sustainable design, sustainable development, design with nature, environmentally sensitive design, holistic resource management — the capability of natural and cultural systems being continued over time, is key. 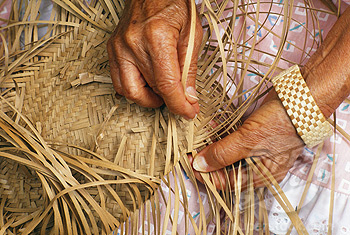 For centuries, traditional Hawaiian structures had thatched roofs made of pili grass. 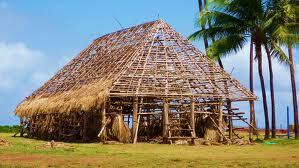 The most important building in ancient Hawaiian civilization was the home of the chief. The Hale Ali’i could be found on a hill, with a stone foundation to symbolize the chief’s high standing within the community. The interior of the Hale Ali’i was covered with leaves, and the floor with woven mats. Nearby, stood the Hale Papa’a, serving as a storage room, where the chief kept his most valuable possessions. 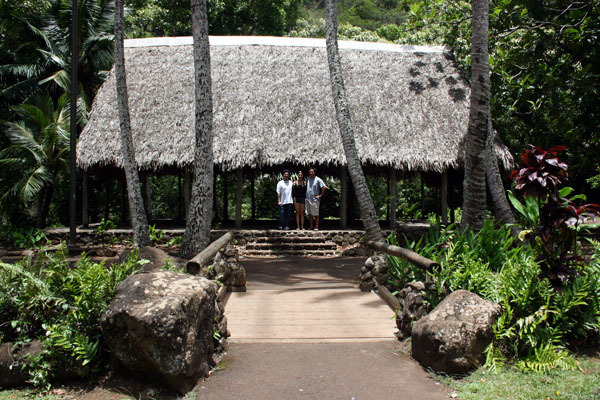 In this home, the chief (ali’i) would hold meetings. Women and children could not enter this building. The Hale Ali’i was not the only building to exemplify the ancient Hawaiian system of taboos, or kapu. In the Hale Mua, or men’s eating house, women and children were not allowed to enter or eat. Instead, women and children ate at the Hale ‘Aina, a separate building. Many ancient Hawaiian structures held cultural importance. 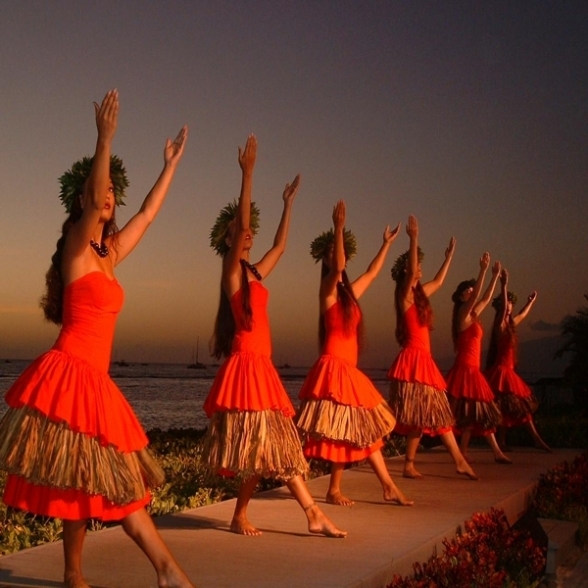 The Halau, or house of instruction, was a place of instruction, where young native Hawaiians learned the art of the hula and other aspects of Hawaiian culture. 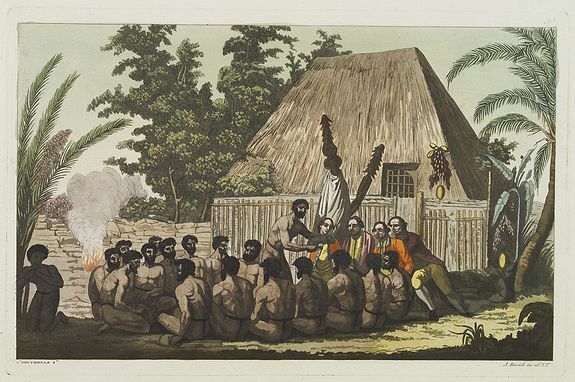 In the Hale Pahu, or drum house, drums and other instruments needed for hula dances were stored. In the Hale Ulana, or weaving house, women created mats, baskets, fans, and other items from dried leaves woven delicately together. Near the water, the Hale Wa’a, or canoe house, held canoes made from koa wood, or tropical mahogany. Closest to the shoreline, the Hale Lawai’a, or fishing house, provided space for fishermen to prepare their gear and nets. 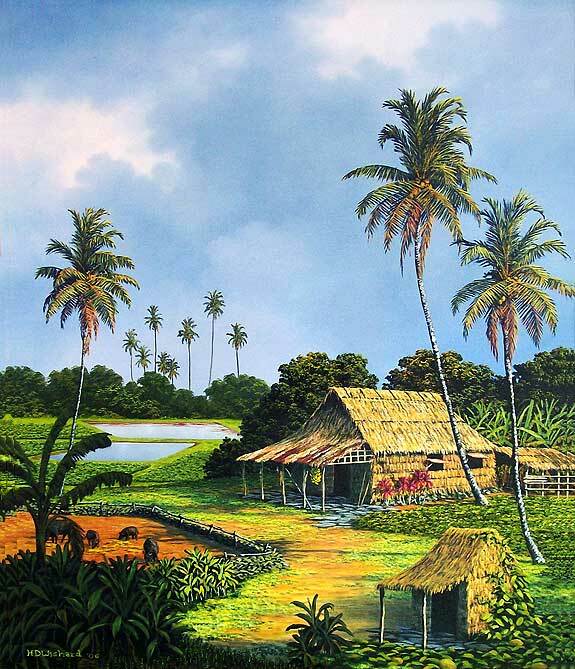 While the chief lived in the Hale Ali’i, other Hawaiians lived in a much more modest Hale Noho. In this house, extended family members slept in a specific order under one roof. 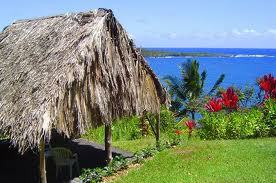 The traditional beds used by Hawaiians consisted of dried grass and leaves spread on the earth. Mats places over the grass completed the bed. Other traditional Hawaiian buildings for daily use included: Hale Halawai for eating, meeting, retailing, and working; Hale Ku`ai for eating, meeting, retailing, storage, and working; Hale Noa for sleeping and storage. 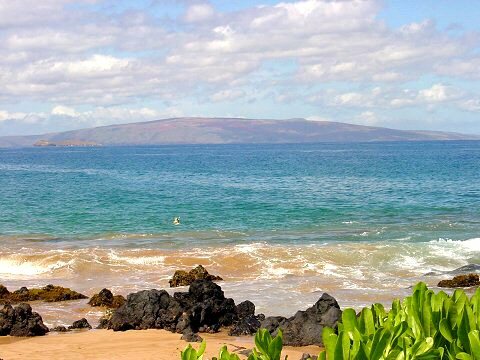 Kaho’olawe was inhabited as early as 400-1000 A.D. initially in small fishing villages along the island’s coast. Archeological evidence paints a picture of Kaho‘olawe as a navigational center for voyaging, the site of an adze quarry, an agricultural center, and a site for religious and cultural ceremonies. By the mid-1600’s, the largest population was at Hakioawa on the island’s eastern coast. By 1805 the inhabitants had declined to a reported 160, attributed to inter-island warfare, disease from western contact, and general emigration from the island. Through the Missionary Period (1825-1853), Early Ranch Period (1853-1910), Forest Reserve Period (1910-1918), and Later Ranch Period (1918-1941), the island continued an environmental decline. For a brief time it was used as a penal colony but mostly for sheep and cattle ranching. By 1941 it had become almost worthless, primarily at the hand of longterm over-grazing, erosion and loss of soil. 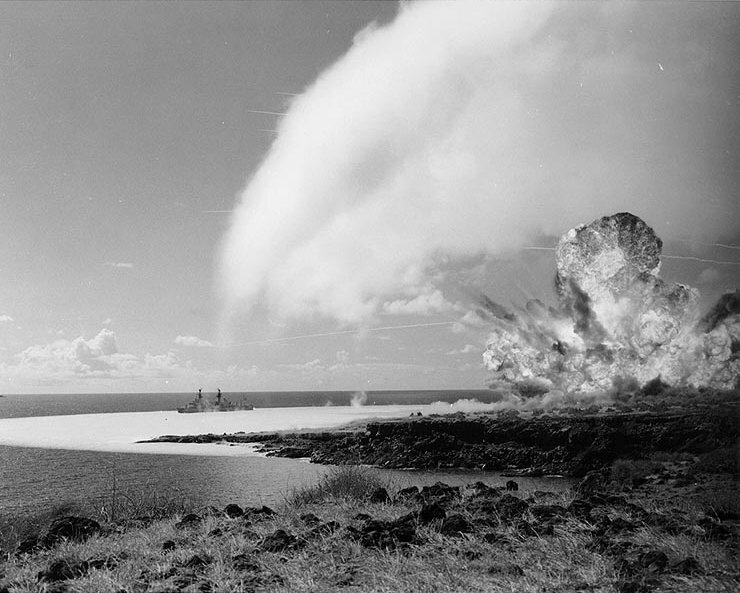 It was eventually transferred to the U.S. Navy for use as a bombing range. With the attack on Pearl Harbor and the declaration of martial law the history of Kaho’olawe became one of military use. During WWII, the island played a major role as a Navy training site. In 1946 it was reported that 800 ships ranging from destroyer escorts to battle wagons rehearsed for the day they would fire in support of marine landings. The rehearsals prepared Marines for the landings at Iwo Jima, Okinawa, and other sites throughout the southwest Pacific. Community efforts from the Military Period (1941-1978) through the active years of the Protect Kaho’olawe ‘Ohana lawsuit, brought cleanup and formal conveyance back to local control. The thread of Native Hawaiian culture binds the contemporary with the ancient, defining Kaho’olawe’s importance as a special place, a wahi pana, and as a sanctuary, a pu’uhonua. It remains a place where traditional ceremonies and practices are perpetuated in a continuum of culture. 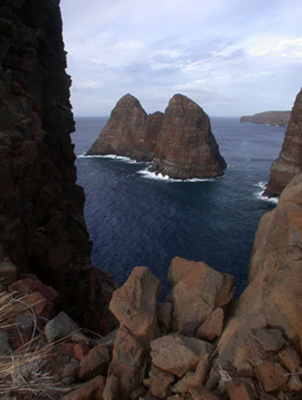 The history of the Hawaiian people is preserved in these wahi pana, legendary sites. They provide a sense of place, a feeling of well-being, of stability and belonging — to the past, the present, and the future. Surviving for 15 million years, Hawaiian monk seals are the most endangered mammal in Hawai’i, and one of the most endangered of all seal species in the world. 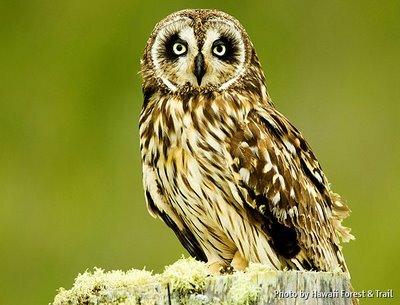 In 2010, it was estimated that only 1,100 individuals remain in the wild. Pinnipeds, or fin-footed mammals, are a widely distributed and diverse group of semi-aquatic marine mammals. Successfully adapted to life in the sea, pinnipeds are thought to have evolved from terrestrial mammals about 20 million years ago and continue to retain strong ties to land. Their closest modern day ancestors are the bear and the dog. 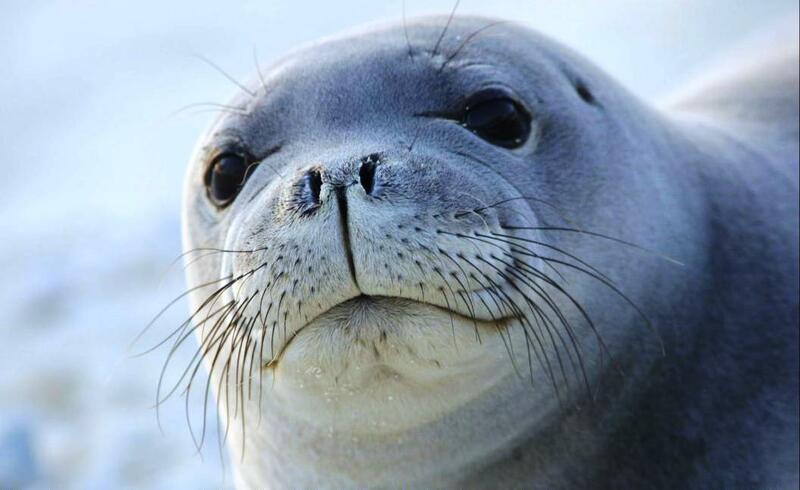 Hawaiian monk seals are the most primitive living members of the pinniped family Phocidae (earless seals) having separated from other true seals perhaps 15 million years ago. 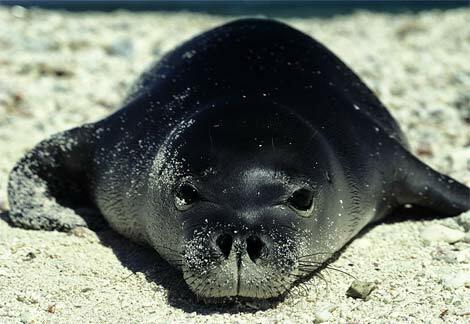 The Hawaiian monk seal, Monachus schauinslandi, is endemic to the Hawaiian Islands. Known to the native Hawaiians as ʻIlio holo i ka uaua, or “dog that runs in rough water,” the monk seal’s common name derives from its round head covered with short hairs resembling a medieval friar, its folds of skin that somewhat resemble a monk’s cowl, and its solitary existence. Relative to other species that collect in large colonies the monk seal is usually seen alone or in small groups. While most seals make their homes in colder climates, Hawaiian monk seals prefer warm, sandy beaches. They are the only tropical seal in the world, found only in the Hawaiian Archipelago, and the only marine mammal found entirely within U.S. waters. 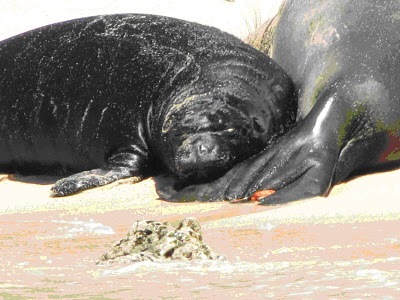 Monk seals are a unique part of Hawai’i’s natural and cultural history. Most are found around the Northwest Hawaiian Islands where their number is rapidly falling due to decades of over-fishing, habitat loss, predation, and entanglement in marine debris. 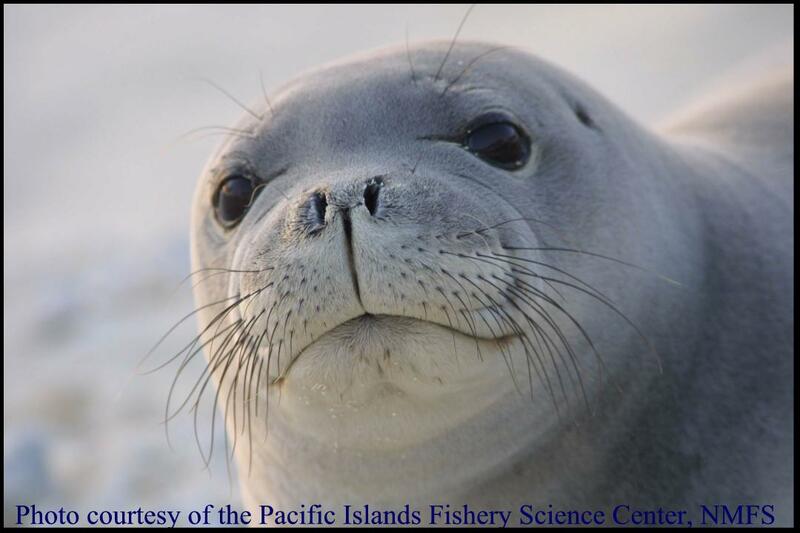 Slowly however, the monk seals are returning to the main Hawaiian Islands. 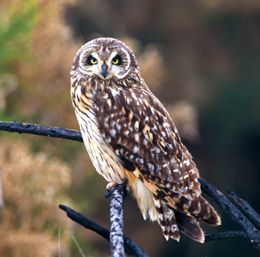 They have been sighted in surf breaks and on beaches at Maui, Molokai, and Lanai, as well as Niihau, Kauai, and Oahu. In 2006, twelve pups were born in the main Hawaiian Islands, rising to thirteen in 2007, and eighteen in 2008. As of 2008, 43 total pups have been counted in the main Hawaiian Islands. The Hawaiian monk seal was officially designated as an endangered species on November 23, 1976, and is on the critical list. Hawaiian monk seals are protected under the federal Endangered Species Act and the Marine Mammal Protection Act, as well as state laws. It is illegal to kill, capture, or harass a Hawaiian monk seal. 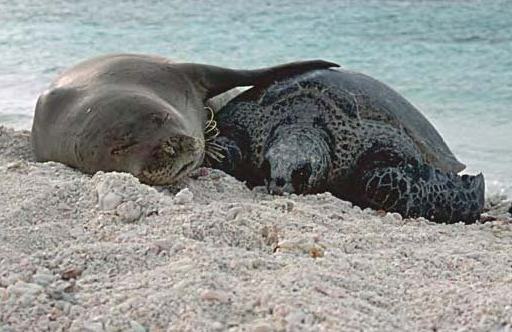 The Hawaiian monk seal was declared Hawaii’s official state mammal on June 11, 2008.